The Realacc X210 is built for racing and features a light-weight, symmetrical carbon fiber body. 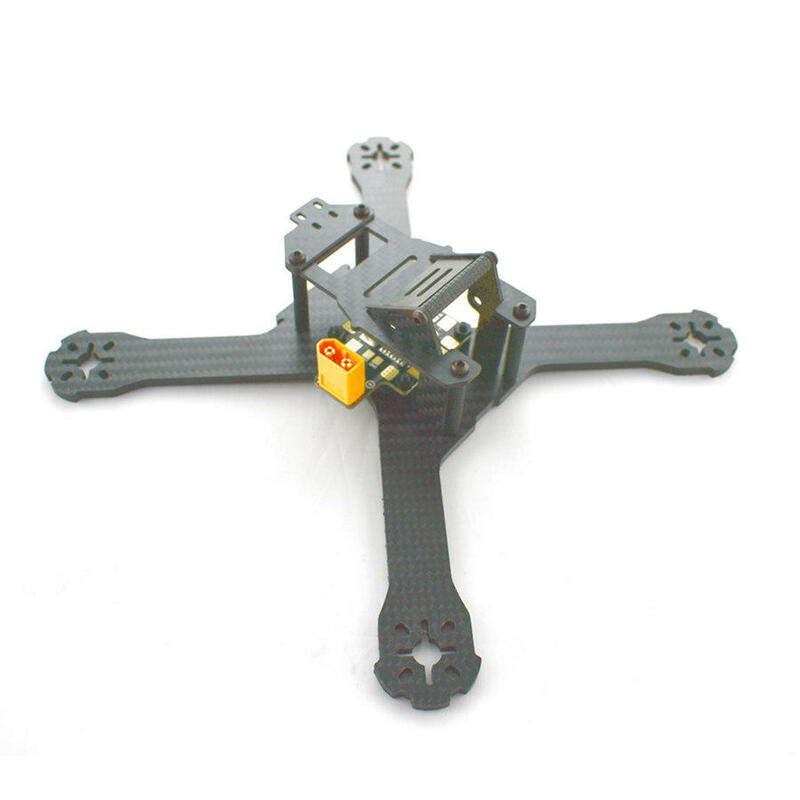 A symmetrical X, light weight, super stiff, finely tuned frame designed for high performance FPV Drone Racing. Full 3K Carbon Fiber frame. Optional 3mm or 4mm frame arms. Dual purpose FPV and HD camera mounting solution. Compact size for 5" propellers, 214mm motor to motor. "Bumpers" on the end of the arms to protect the motor during a crash, just like the QAV250. Included power distribution board and XT-60 Pig-Tail to power ESCs and FPV flight electronics. LiPo battery protection plate included. Support to carry HD camera at 35 degree angle(such as the GoPro 4, Mobius, etc).